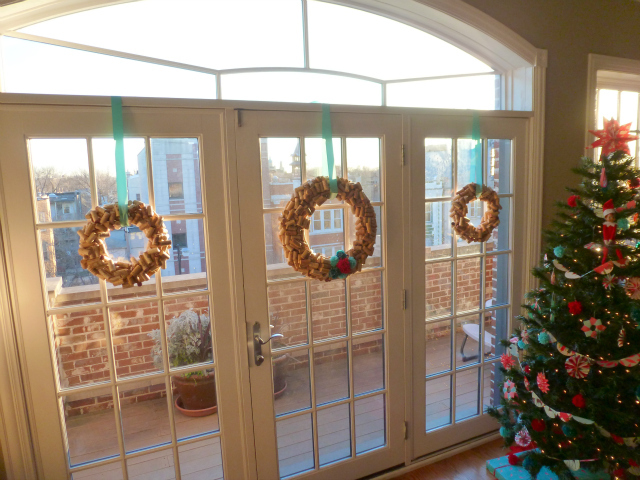 I added one final touch to my Christmas decor this week – a trio of wine cork wreaths hung by a ribbon over the windows next to our tree. 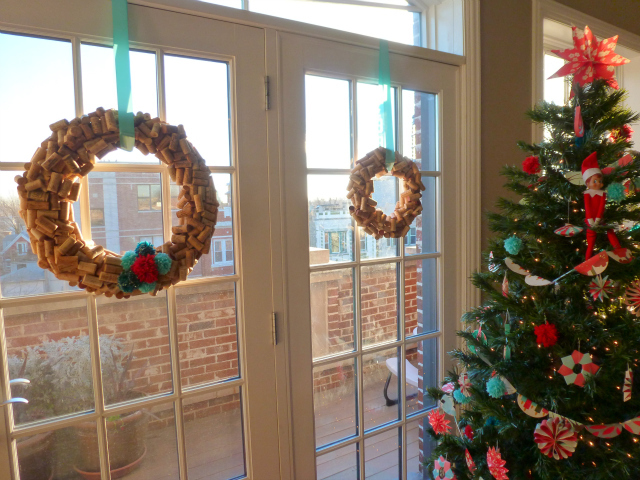 If you’ve been a loyal follower of Design Improvised, you may recognize the big cork wreath in the middle. I made that several years ago and it was one of the first things I blogged about. Well, thanks to my habit of a glass of wine (or two!) 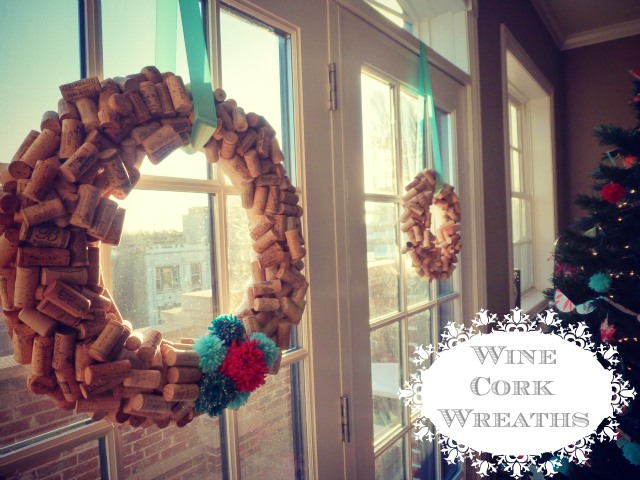 a day, my wine cork collection has continued to grow steadily, so I decided it was time to make some more wreaths. 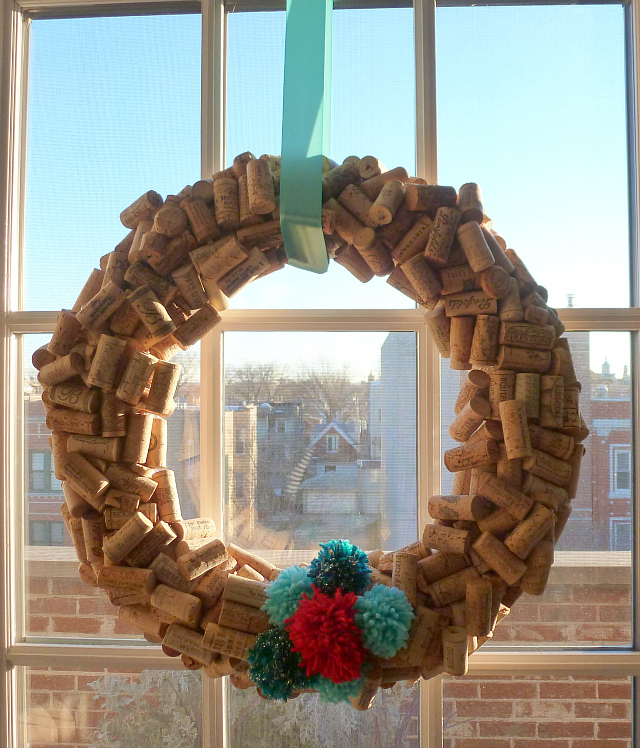 The corks going into these wreaths are a result of 10+ years of collecting them from every bottle we’ve consumed (minus those cheap rubber corks – don’t save those). 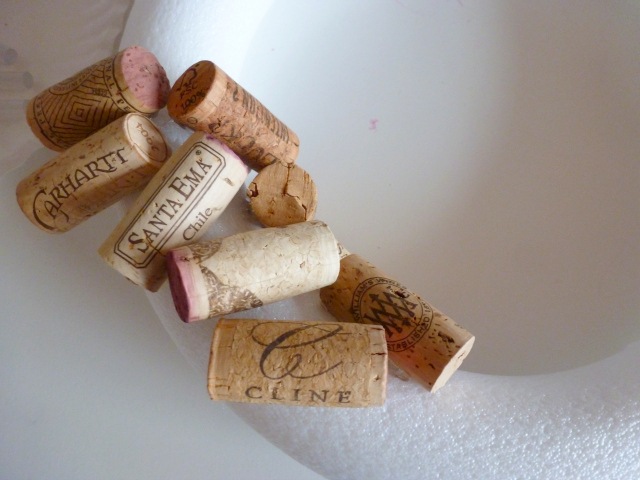 So if you’re someone like me who has collected corks for years with the plan to use them in some creative way, this is the project for you! 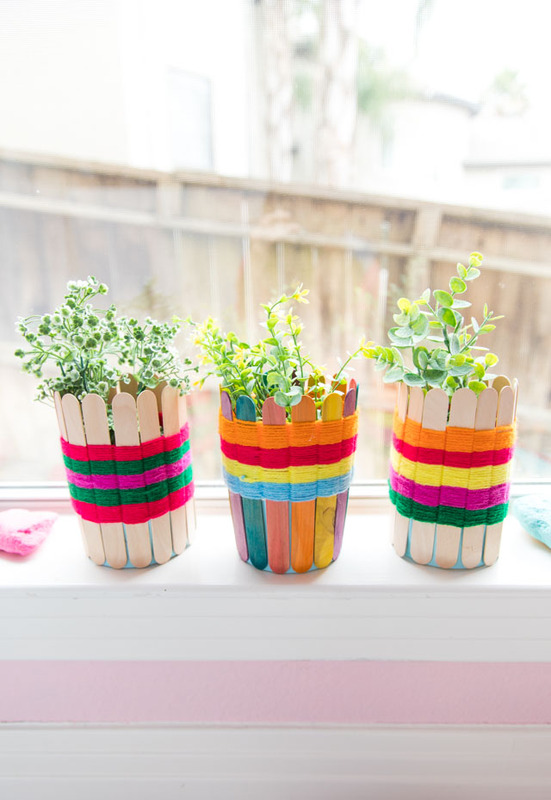 If you have little or no corks, pin this idea to make in 2016. 😉 Or you can always buy used wine corks. 1. 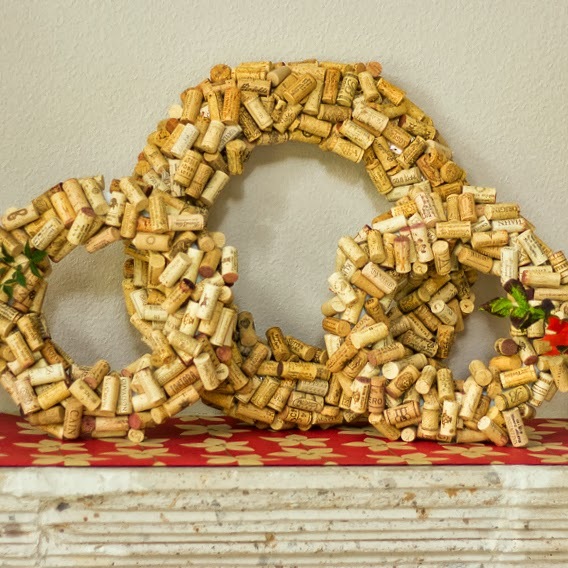 The process really is simple – find the prettiest side of the cork that you want to display (such as the name of the vineyard) and then apply a generous dab of hot glue to the opposite side and adhere to the wreath. 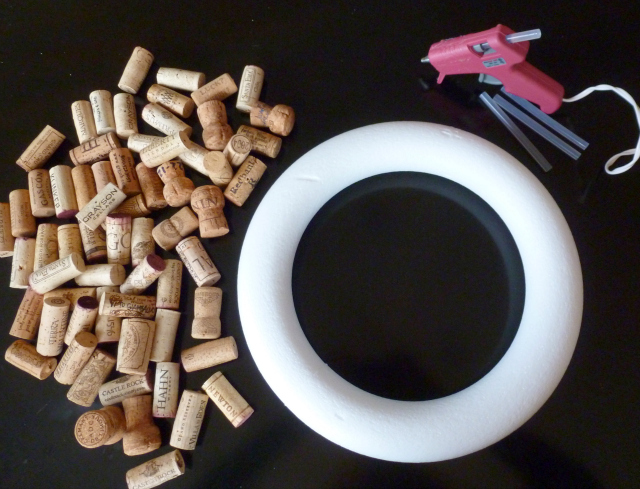 Hold the cork in place for a few seconds to help the glue adhere. 2. Keep going around the wreath in a haphazard fashion – you want to angle them differently rather than line them up side by side. 3. 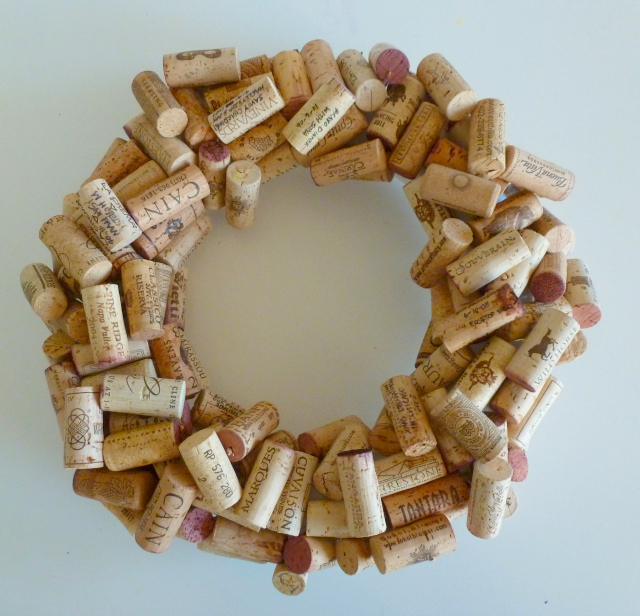 Start filling in gaps in the wreath by layering corks on top of others and along the sides. Keep layering until there is very little of the wreath form showing through. 4. 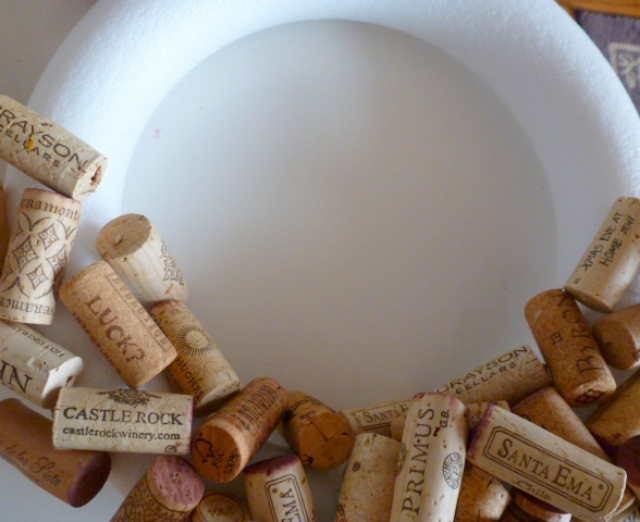 I love to write on the wine corks from special occasions – I made sure to save these for the top of the wreath. It makes me smile to remember all those great moments we’ve had over a bottle of wine! 5. And there you have it! String a pretty ribbon through it and hang. The best part of this wreath? 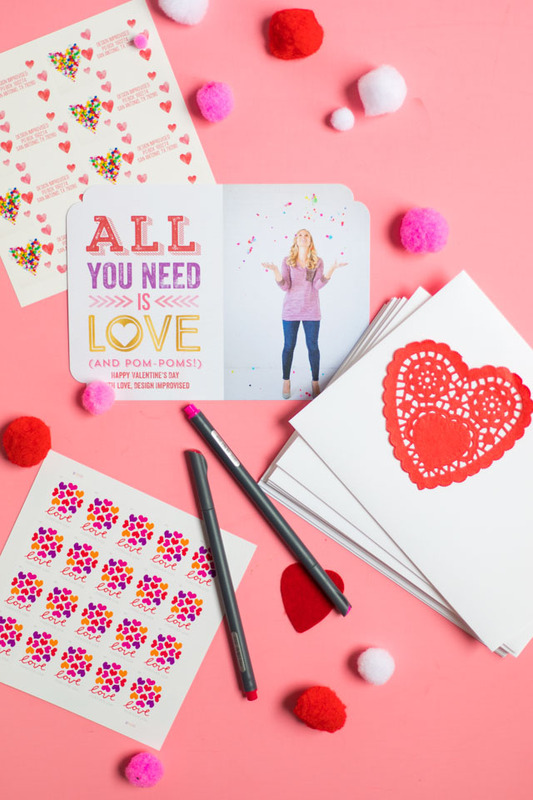 You can use it year round! 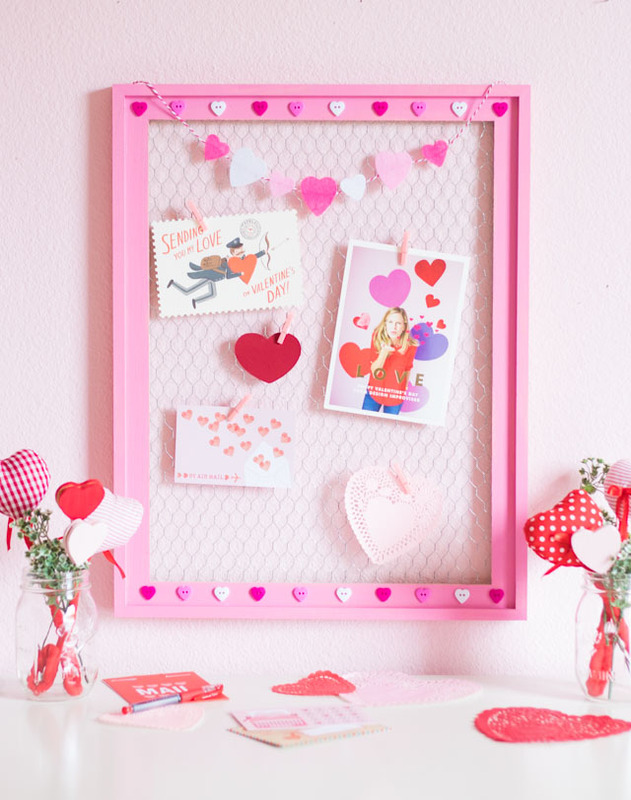 Just switch up the ribbon and any other embellishments you want to add. Here’s an another photo of them on the mantel – they look good leaned up against each other too. You can mix up the ribbons and embellishments to make them work for any season! Great idea! 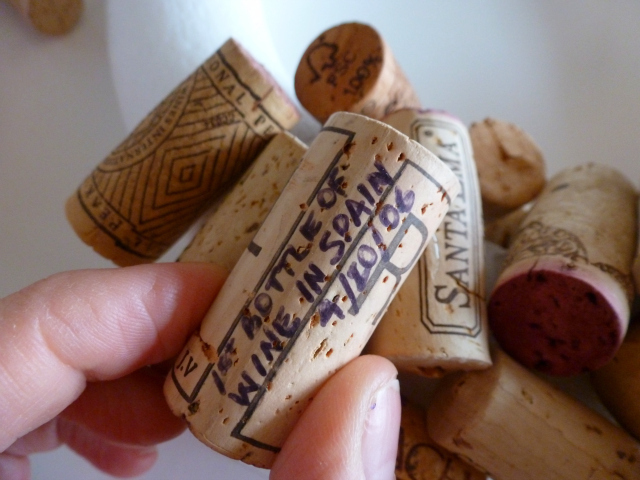 We have so many corks laying around that I haven't figured out what to do with. Definitely going to give this a try. 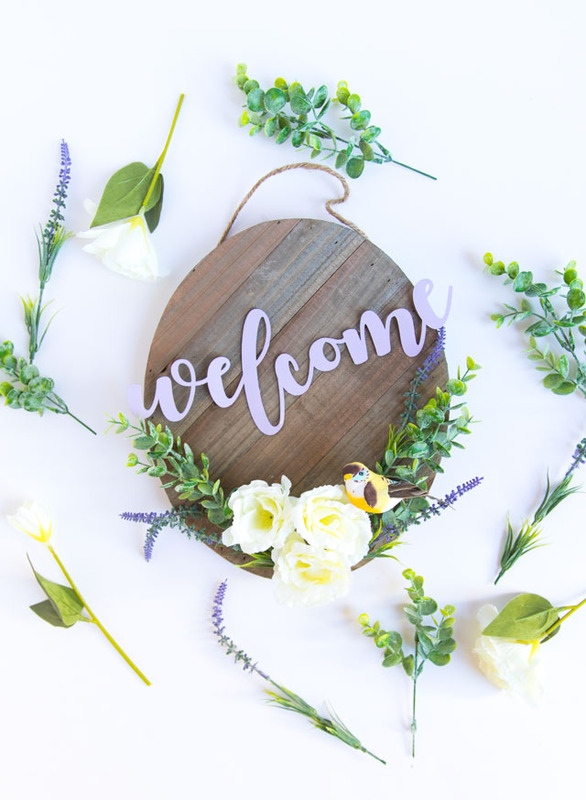 Any suggestions on where to buy the foam wreath?